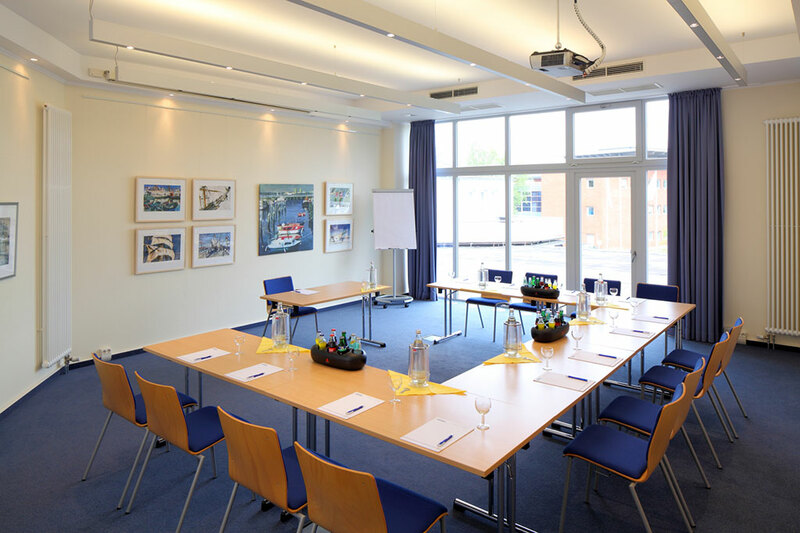 Our conference package includes the following services to ensure your event runs smoothly. 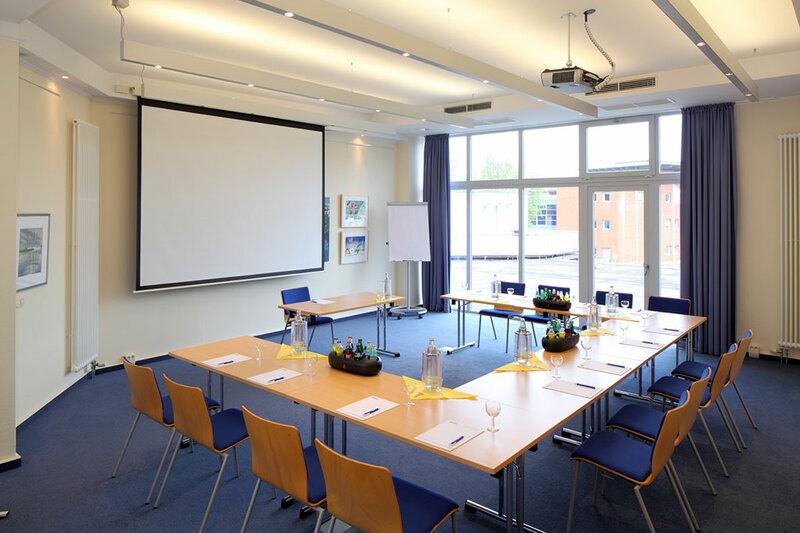 Our event area offers you the right possibility for concentrated work or creative thinking, for a meeting or in a conference, seminar or in a retreat. 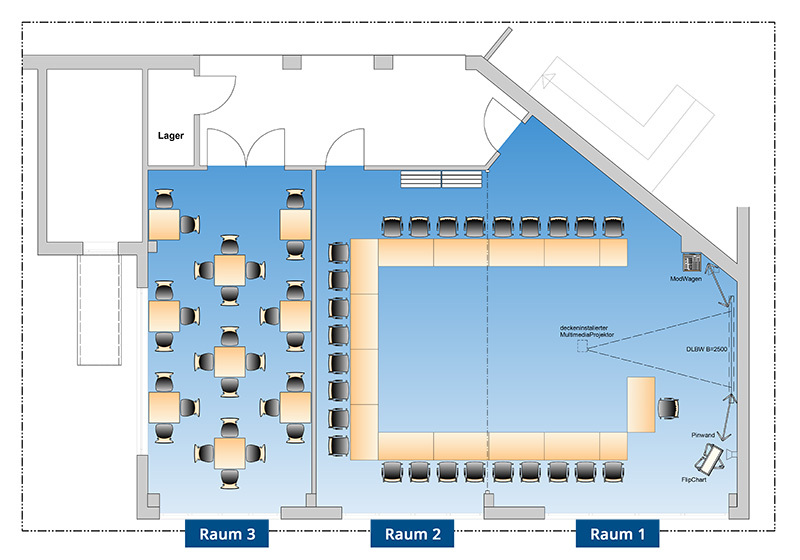 Three meeting rooms with 3.0m ceilings and 130 m² square footage can be combined for up to 100 people. 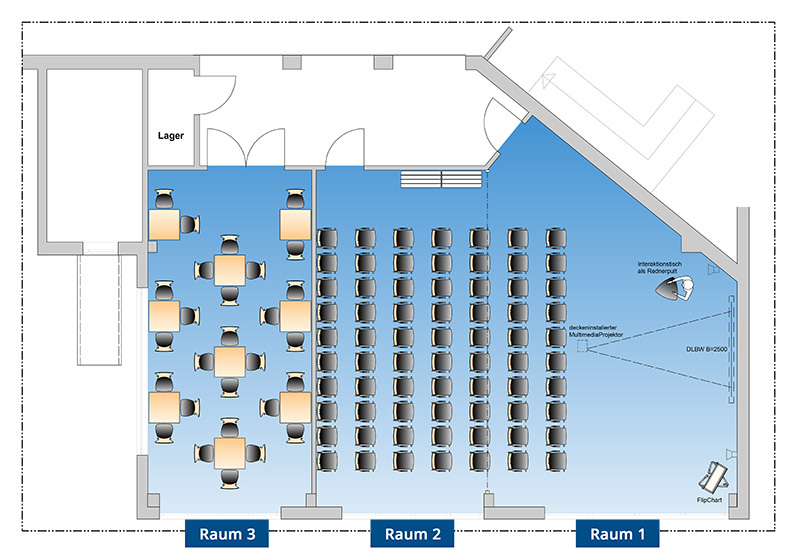 Of course, all rooms are fully climate-controlled and are sound-insulated with ceiling-high windows. The dynamic lighting supports all your work. 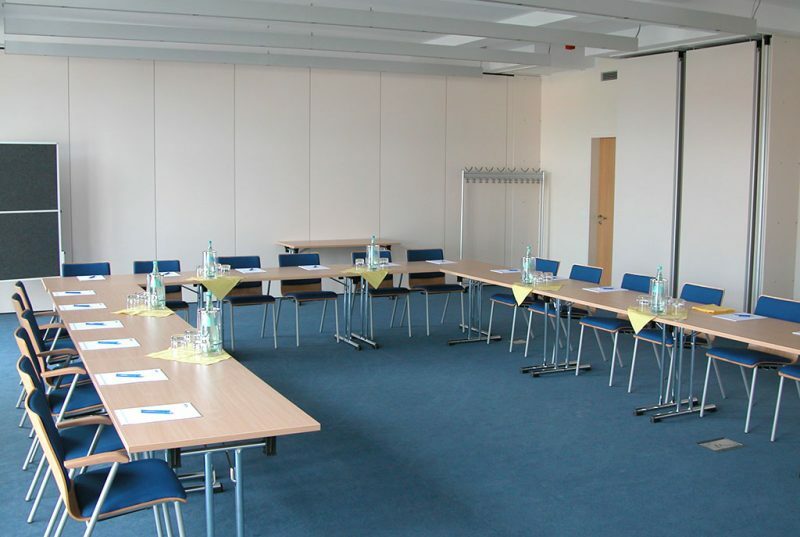 The room furnishings are all high quality and are characterized by functionality and timeless elegance. 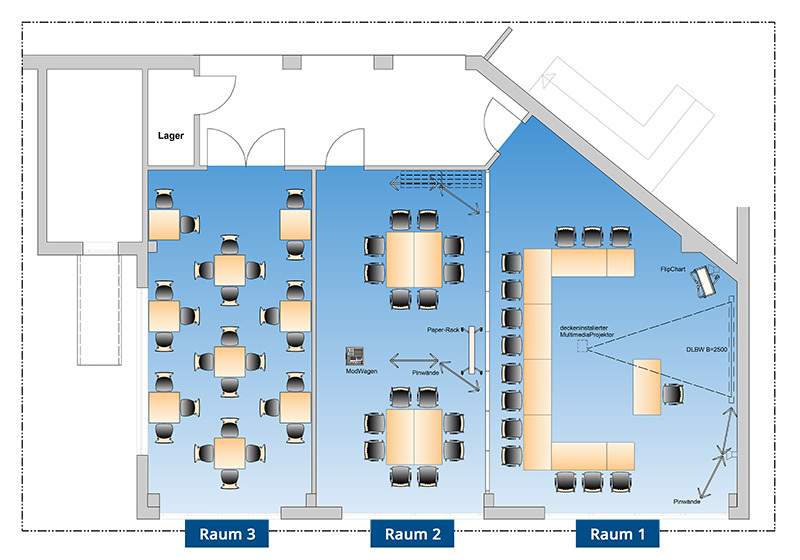 You can control the room's air conditioning or heating on request. Get an overview of the room combination options and variations for uses that are available to you. We are happy to provide you with the necessary conference technologies. 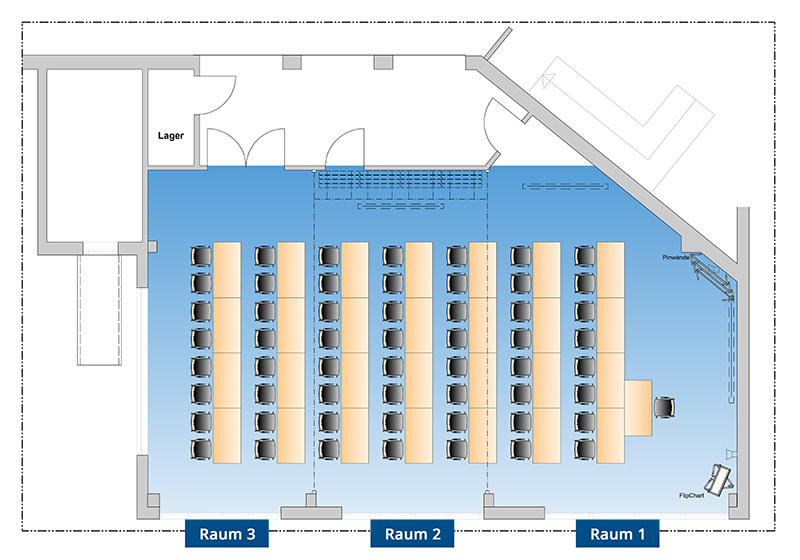 Below we have included suggested seating arrangements for our rooms. We work with your suggestions and are happy to provide you with a custom offer.